"Parading small-time users in front of media for tiny amounts when there are kilos coming through this airport. It's ridiculous," he complained to the waiting pack he had been hauled in front of, ready to splash his image across their newspaper front pages and TV screens. 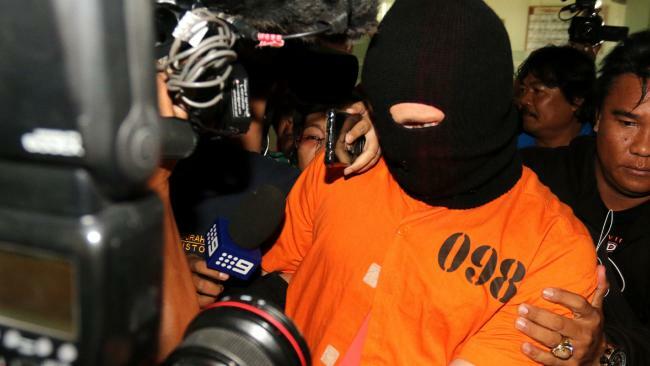 To the 35-year-old Queenslander arrested on drug charges - and to most other Australians - the shameful parading of accused crooks before they've even had a chance to plea may seem ridiculous, but it's all part of Indonesia's increasingly tough war on drugs. He was part of a parade of three drug accused forced to pose alongside heavily armed guards with their drug hauls displayed in front of them - and that was just one session. As Roberts was escorted from the chaotic scene at the Kuta customs office, he shouted his protest to reporters. His lawyer later told reporters Roberts was "shocked" by the media attention. "From our law enforcement perspective it would be seen by many as outrageous to make the person appear in a context that seems to predetermine their guilt," Prof Lindsey told news.com.au. 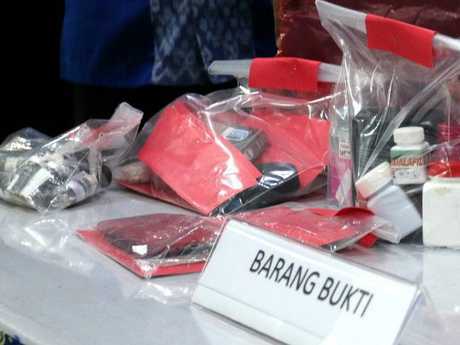 "But in Indonesia, drug trafficking offences are serious and treated as a form of murder, and there's little to no tolerance for the difference in attitudes between our two countries. "If you are believed to have offended in a jurisdiction, you can expect to be treated in the way that jurisdiction deals with that offence, and in many ways for Indonesia, this is a system that works." "It seeks to shame the offender, it seeks to show the law enforcement authorities are doing their jobs, and it's a way of attracting press interests in arrests," he said. "You might call it a bit of law enforcement theatre." But perhaps the most bizarre piece of the humiliating costume - the black balaclava covering the suspect's face - is actually intended as a token of protection to the accused. Though it makes suspects seem more scary and even increases the perception of guilt, the incongruous accessory is meant to offer the alleged offender a degree of anonymity and shield their face from the cameras, Prof Lindsey explained. Considered one of the worst groups of criminals, suspected drug offenders are most frequently given the embarrassing orange jumpsuit treatment. Terror accused and those suspected of engaging in corruption are also frequently paraded for the public and media this way. 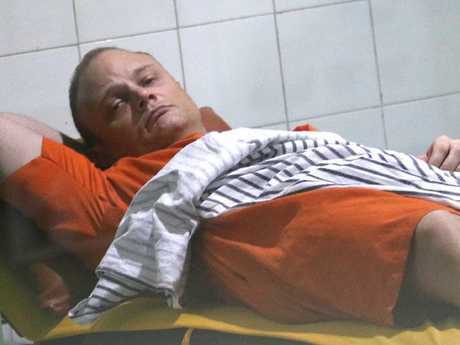 "Many of the problems that arise when Australians are arrested in Indonesia and a lot of the things that make people think they're being treated particularly badly are not actually aimed at the individuals or aimed specifically at Australia," Prof Lindsey explained. Isaac Roberts is from Toowoomba and once ran as a political candidate for the Liberal Democrats. With Indonesian President Joko Widodo committed to basing his political legitimacy on cracking down on drugs, executions for drug crimes are more likely than ever. Prof Lindsey said the atmosphere around drugs was "probably at its least tolerant and harshest point perhaps in decades". 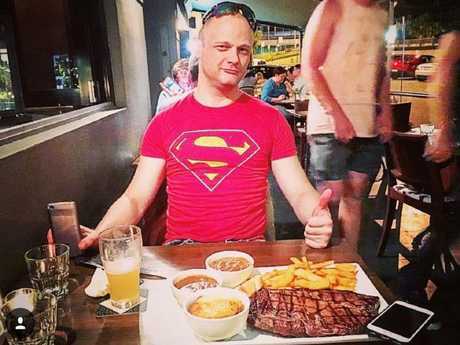 The amount Roberts is accused of carrying will largely depend on whether he is treated as a drug trafficker, or an addict - which is how he and his lawyer appear to be framing the offence. Roberts yesterday said at the press conference: "They want to waste their resources on addicts, they want to punish addicts." "The problem we've got is Indonesian laws are much harsh and more punitive than ours," he said. "Australian attitudes to drugs as a less serious offence is completely out of step with the Indonesian attitude. "We have a problem with Australians taking what they consider to be less serious and less dangerous drugs in Indonesia because they're on holiday. "Many of them take drugs they might use in Australia with them. It's an extremely dangerous and foolish thing to do."